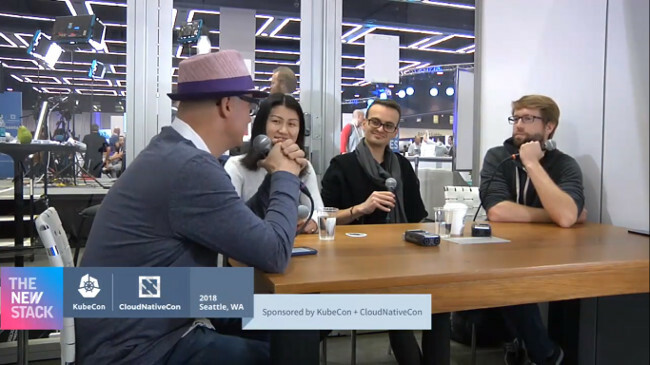 The sheer size of KubeCon + CloudNativeCon 2018 in Shanghai, which was held in November and drew an estimated 8,000 attendees, attests to how the open source movement is both mainstream and plays a key role in software development today. The thousands of attendees reflect the exploding number of people involved in the open source community worldwide who play a part in this renaissance era of open stack development. Ihor Dvoretskyi, developer advocate at CNCF. Wei Fu, director of engineering, leading VMware Cloud PKS, a SaaS offering for Kubernetes from VMware. 4:30: Touching base on the VMware and Kubernetes offerings, and the Harbor project. 7:06: What is Rook addressing that provides that ability to address storage for Kubernetes, and how is it evolving? 13:01: How do you manage your team when you have to think about software development in an open source context? 16:28: What is Rook’s experience in the CNCF? 22:20: What is the approach VMware is taking so you can scale out your own engineering efforts for these open source projects that will continue to be core to the business? 27:47: How is Rook looking to extend itself into 2019?